We are currently also developing a new range of small British handmade leather goods and accessories. The leather has been tanned by some of our customer tanneries to whom we supply our raw materials. 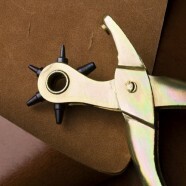 This will include British vegetable tanned leather, which gives quality and durability to the finished product. Items will include a range of wallets, belts, glass cases, note book covers. Further details will be following shortly. Enquires are always welcome.